Thank You Senator Al Davis! Legislative Resolution 511 – Interim study to examine existing state law governing the collection of sales and use tax on remote sales. Senator Davis has provided outstanding leadership on this extremely important issue which is much appreciated. Local retailers pay local taxes, create local jobs, and support local charities. Yet internet competitors from out of state have a huge economic advantage. 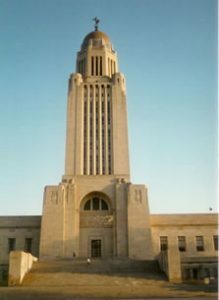 Those competitors, who do nothing for the local economy, are not required to collect and remit Nebraska sales taxes. Thanks again Senator Davis!